I’d say that 90% of the giveaways I see on Instagram aren’t legal. In fact, when I see one that is legal it stands out. Here’s an example of one that jumped out because it’s on the up and up! So how do you make your giveaway legal like Shinah’s? That’s what we are covering in this week’s episode of Ask Kiff. 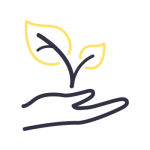 Join us in the artist’s Courtyard membership community and get access to a course that not only walks you through each of these steps but includes six example giveaways! Want help hosting a legal giveaway? Great news! There’s a course in the artist’s Courtyard that walks you through the process step-by-step. In the course, you’ll also find six legal giveaway examples (including Official Rules) so you can quickly create your giveaway! I don’t like to rely on scare tactics to convince you that you should do things on the legal up and up. And even if I did, when it comes to giveaways scare tactics are pointless because very rarely does anyone get in trouble for hosting an illegal giveaway. 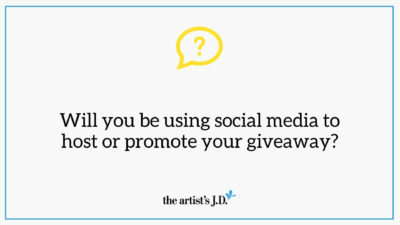 So why should you go through the extra steps of creating a giveaway that’s on the legal up and up? So how do you host a legal giveaway? Your giveaway shouldn’t exist in a vacuum. It should exist so that it propels your business towards your goals. 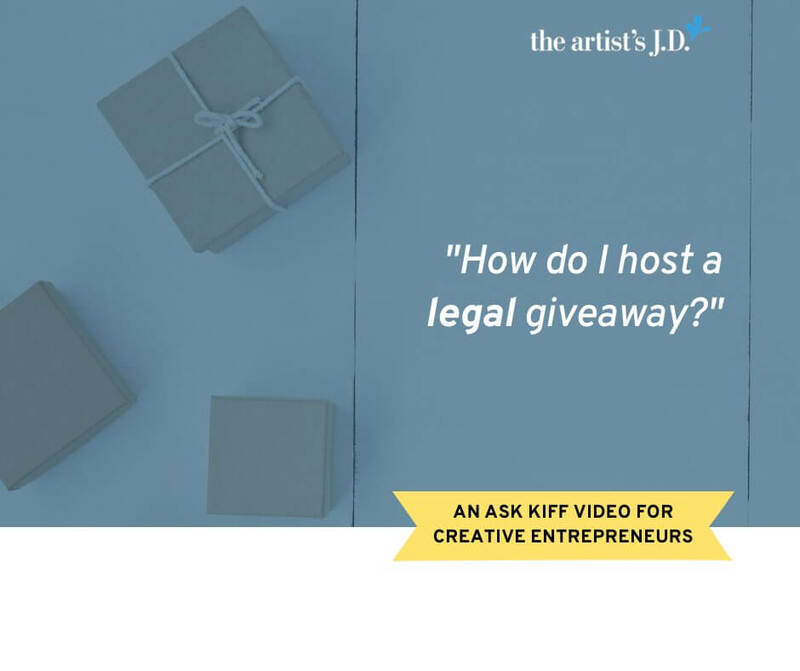 And so the first step in hosting a legal giveaway is to think about why you are hosting it and how you’ll select your winner. Why are you hosting a giveaway? 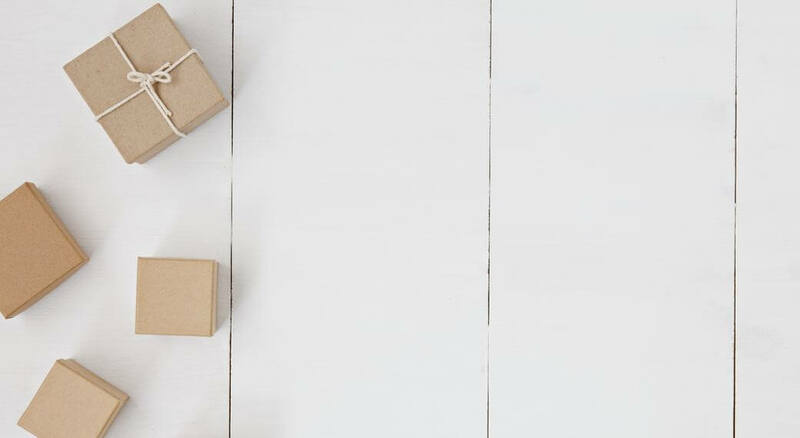 You should have a strategy or plan around why you are hosting your giveaway. Your goal shouldn’t be to increase a vanity metric if it also isn’t something that helps you generate revenue. 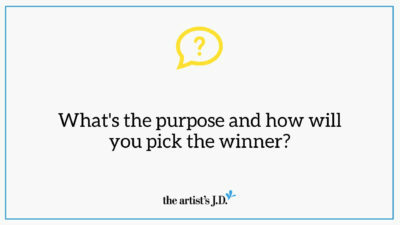 How will you pick the winner? 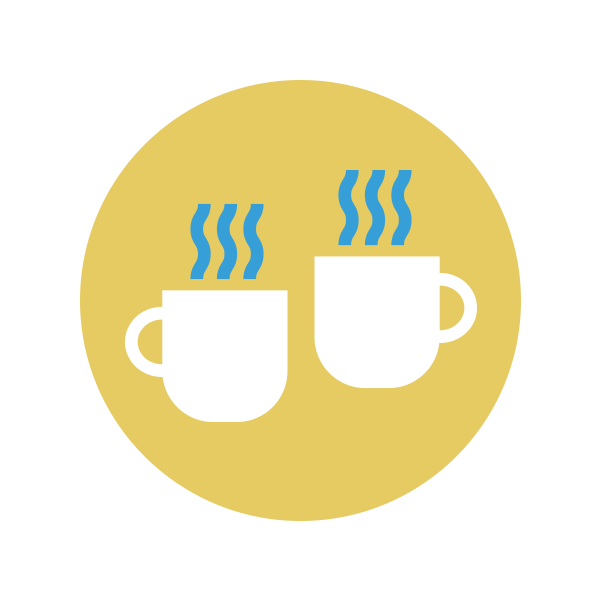 And as business owners, we are only allowed to host the last two (sweepstakes and contests). For now, all you need to decide if the goals of your giveaway line up with picking a random winner or hand-picking your winner. 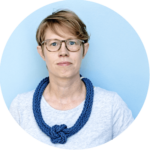 If your goal is to increase awareness of your high-priced product, course, or mastermind then you might want to make sure the winner is someone that is a good fit. So you might want to have an application and hand-pick your winner. If you pick a random winner, then you’ll need to read Step 3 in detail so you don’t make the mistake that 99% of Instagram giveaways make. Remember those terms of service that you agreed to (but never read) when you created your Pinterest, Instagram, Facebook, or YouTube account? Buried in those terms are additional rules about how you must host your giveaway. So when you host or promote a giveaway on social media, you have to obey the laws, plus the service’s rules. If you are hand-picking your winner, you can hop straight to Step 4. 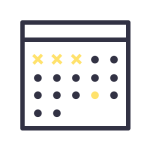 But if you are picking a random winner, then you’ll likely need to create a free entry method that has the same chances of winning (or in legalese an alternative method of entry or AMOE). Skipping over this Step is the #1 way that most giveaways I see go from legal to not legal. And the difference between a sweepstakes and a lottery is if you (as the giveaway host) are given something of value by entrants. And requiring entrants to give you something of value is where 99% of giveaways go wrong. What’s considered “something of value” under the law? Once again, it’s important to introduce a legalese term here, so if you read resources somewhere else, you’ll know what they are talking about. Under giveaways laws, the legalese term for “something of value” is consideration. And like in contract law, consideration is an exchange of money, significant time or effort, or something of marketable value. To enter, create a new Pinterest Board with at least 20 unique pins showing products that would be in your dream Farmhouse kitchen, including your favorite tea towel from our line. To enter, head over to SPONSOR’s website and find your favorite kitchen appliance and leave it as a comment on this post. To enter, fill out this 10 question survey. To enter, follow me on Instagram. To enter, tag your friend below and if you both follow my account you’ll be entered to win! Of course, the last three are the ones that I see happen most often! So how do you avoid this? You use the legal loophole called an alternative method of entry. To create a valid alternative method of entry (sometimes shortened to AMOE) you have to create a way for people to enter that doesn’t require “something of value”. You also can’t make it harder, burdensome to enter using your AMOE or give those using your AMOE less of a chance of winning. Basically, AMOE entrants have to be on a level playing field with those who entered the “regular” way. You also can hide that there is an AMOE. You have to clearly disclose that this option exists. The good news is that by doing this, you can pick a random winner AND have SOME entrants give you something of value. You’ll want to let them know when you’ll start counting entries and when you’ll stop. And to make it super clear, you’ll want to include it down to the time zone. For example, entries will be counted from Monday, April 1, 2019, at 12:01 AM PDT to Friday, April 5, 2019, at 11:59 PDT. To avoid getting into hot water, you must stick to these dates, even if the number of entries is disappointing. Of course, the rules should describe the prize(s). But they also should outline if multiples will be given away and the approximate retail value of the prize. If you are co-hosting the giveaway with someone else, you should double-check these details with them. You also should explain if winners can transfer the prize to someone else or exchange it for something else. Giveaways are usually limited to those over the age of 18 for both privacy and legal reasons. This is why most legal giveaways limit entrants to a specific country. And why you’ll likely be limiting entrants to US residents. There also are some state-specific rules about winners. If you allow entrants from the following states you must publish the winners’ list: Florida, Georgia, Maryland, Massachusetts, Minnesota, New York, Rhode Island, Tennessee, Texas, and Wisconsin. If you allow entrants from Arizona, California, Florida, Hawaii, Nebraska, and Tennessee you must award all the prizes. 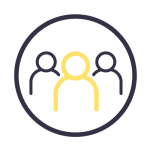 Finally, to eliminate the claim of favoritism, your employees and family members are usually ineligible to win. 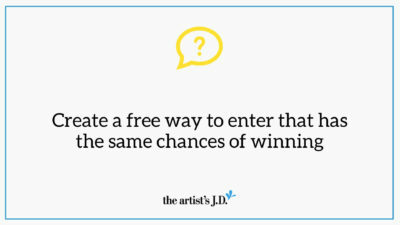 Once you’ve covered how to enter, you explain how the winner will be chosen. If it’s a contest, you’ll have to outline the judging criteria you’ll use to select the winner and who will be judging entrants. Again here you outline the procedure for delivering the prize. If you sponsor will be directly involved in the delivery, make sure that they sign off on the timeline. In addition to these boilerplate clauses, it’s a good idea to let people know who the sponsor is. And if you are using social media as part of your giveaway, you’ll want to include any language that the platform requires. Once you get to this Step, the hard work is done. 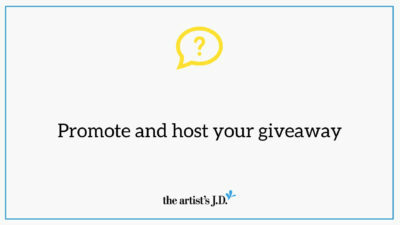 And you get to host your giveaway! 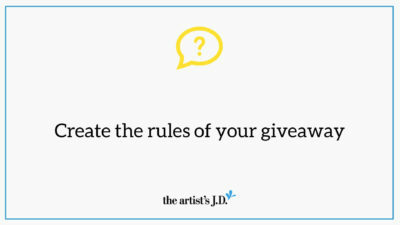 As you promote your giveaway, make sure you let entrants know how to find the Official Rules you created and how they can enter. Sometimes you start promoting and hosting your giveaway and you realize that it’s not turning out how you’d hoped. And unfortunately, once you put your giveaway out there, you are stuck. If you only get 5 entries, you have to pick one of those five. You can’t extend the end date. You can’t change the entry methods. You have to host your giveaway exactly as you spelled out in your Official Rules. 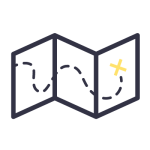 What you’ll need to do is take the information you learned from this giveaway and apply it to your next giveaway. Not change this one mid-stream. 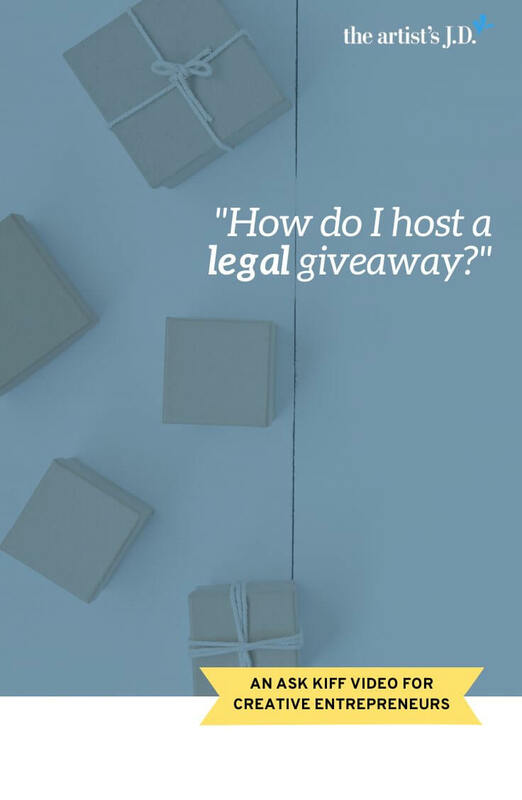 Hosting a legal giveaway takes a little more work, but isn’t as hard as you think.